Vitro will be responsible for overseeing integrated communications across broadcast, digital, radio and out-of-home, as well as research, strategy and production. AAR Partners, a national agency search consultancy, managed the agency search process. The El Pollo Loco account previously had been with Butler, Shine, Stern & Partners since 2012, after Goodness Mfg. held the account for less than a year. 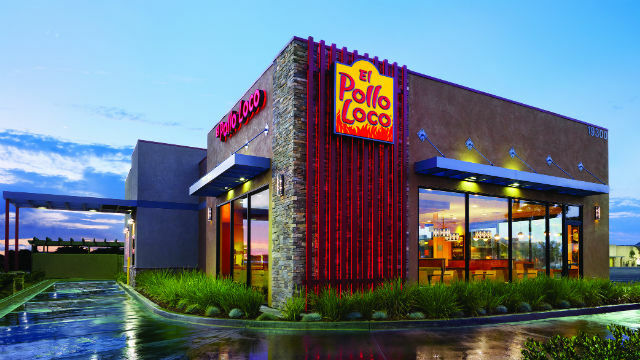 El Pollo Loco operates more than 445 company-owned and franchised restaurants in Arizona, California, Nevada, Texas and Utah. The El Pollo Loco announcement follows other recent Vitro new account news, including winning Adidas Golf in June, as well as home smart company Vivint and Caribou Coffee in March. Vitro offers full-service advertising and marketing capabilities. The San Diego Press Club will present three special awards at its 43rd annual Excellence in Journalism program on Tuesday, Oct. 25. They include: Cliff Albert, news director, NewsRadio 600-AM KOGO, Harold Keen Award for outstanding contributions in journalism; Mary Ayala, executive producer and online content coordinator, NewsRadio 600-AM KOGO, Jim Reiman Award for excellence in media management; Tom Gable, vice chair, Nuffer, Smith, Tucker, Inc. (NST), Andy Mace Award for career achievements in public relations. 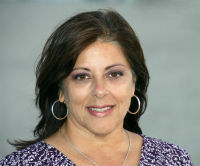 Ayala has worked in radio news since 1983, since her start as an intern at KSDO AM-1130 after high school. She has worked in numerous capacities with KOGO, and has been part of the station’s success in writing, production and management, including news coverage of major events, including the 2003 and 2007 wildfires, and election coverage. She has been recognized with awards from Radio and Television News Association, Society for Professional Journalists and San Diego Press Club. Reiman served for many years as news director at KGTV-TV/Channel 10. He was considered an unsung hero of the profession like many behind-the-scenes journalists who do not have a byline nor appear on camera, but who have a profound influence on news gathering and production. When Reinman retired, the Press Club created the award to honor media managers and the first recipient was KGTV assignment editor Jack Moorhead in 1997. 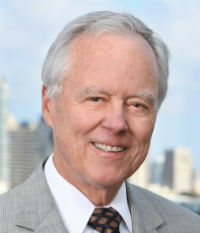 Gable, a native San Diegan and former newspaper reporter with The Wall Street Journal and Evening Tribune, has worked for the past 40 years in public relations. In 1976, he founded his own PR agency, Gable PR, which he merged with NST in April 2015. Gable is the author of “The PR Client Service Manual,” a book on agency and program management that is sold through the Public Relations Society of America as a standard for best agency practices. He also has contributed to two books on crisis communications. 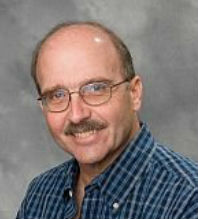 Gable’s award is named after Andy Mace, former public relations manager at Pacific Telephone in San Diego. In 1971, Mace is credited with the idea of starting the San Diego Press Club. He later started his own company, Andy Mace & Associates, with an office at the Mission Valley’s Stardust Hotel & Country Club, now the Handlery Hotel. He passed away in 2009 at age 88. Gable was a founding member of the Press Club. In addition, two students will each receive cash scholarships at the Press Club event. They include: Nicholas Kjeldgaard, Point Loma Nazarene University, $2,500 Joe Lipper Scholarship; Bo Chen-Samuel, Southwestern College, $1,000 scholarship from the San Diego Press Club Foundation. Awards will be presented at Jacobs Center at Market Creek. More than 350 awards are expected to be presented in more than 130 categories. The Press Club’s writing awards program is among the largest regional competitions in the U.S. Judges included reporters and editors in other major U.S. cities. In the past, the competition has drawn the third-largest number of entries for press clubs in the U.S., after the National Press Club in Washington and the Denver Press Club. Public affairs firm Southwest Strategies has added a new account executive and announced several promotions. Spencer Andrew has been hired as an AE. Previously he worked for a PR firm in New York City. He has a degree in political science from the University of California Santa Barbara. Recent promotions include: Diana Puetz to director of public affairs; Pedro Anaya to senior manager of bi-national affairs and community Relations; Rachel Audino to senior manager of public affairs; Jake Sneeden, Kelli Nenaber and Ashley Johnson to manager of public affairs; Natalie Buchbinder and Lidiya Kravchuk to senior AE; Sam Rivera to senior graphic designer. SD Direct, formerly the San Diego Direct Marketing Association, will host “How to Boost Your Marketing Campaigns with Direct Mail,” a program on the latest direct mail technologies, from 11:30 a.m. to 1 p.m., Tuesday, Oct. 18, at UCSD Extension, Room #317, 6256 Greenwich Dr., San Diego. Topics will include busting direct mail myths, how to integrate direct mail with digital strategies, measuring direct mail response rates, statistics on effectiveness and best practices. 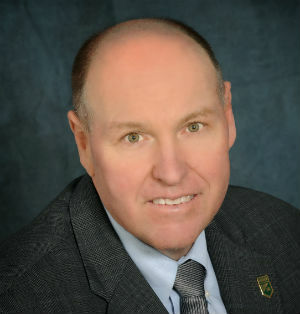 Speaker will be Christopher Foster, VP of business development, Modern Postcard. Foster also teaches a class on product management and branding at UCSD Extension. Cost to attend is $20 for members, $40 for guests and $12 for students. Lunch is included. To RSVP, visit www.sddma.org/events.